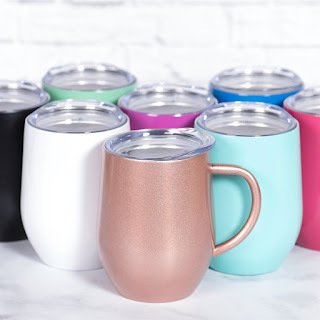 Snag a few of these Coffee Tumblers | 8 Colors ONLY $12.99 (Retail $29.99). These insulated stainless steel mugs will keep drinks hot (or cold) for hours. These 12oz tumblers are powder coated in 8 fun colors. $3.99 for the first item and $2.99 for each additional item. US only. Seller usually ships within 3 business days. Ships no later than Sat, Oct 20.